95814 Digital prides itself on being an active member of the Sacramento Community since 1999. Currently we are members of the Sacramento Valley Paralegals Association and Sacramento Legal Secretaries Association. We continue to provide discounted print services and/or donations to area nonprofit groups as well as local schools and churches in need of assistance. Owner and President, Mike de Necochea, has been serving as the Head Varsity Baseball Coach at C.K. McClatchy High School since 2005. 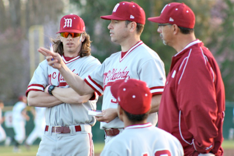 He is also the founder and President of the McClatchy Youth Baseball Academy, a nonprofit organization which provides experienced coaching, training and development for youth baseball players in the Land Park and surrounding neighborhoods. The MYBA organization fields 13U and 14U teams and offers low cost baseball camps and clinics for area little leaguers.